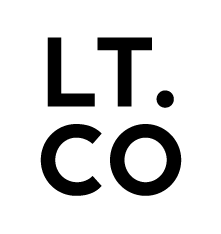 LT Co. started back in 2011 and was trading from an apartment in Devonport, Auckland in New Zealand. Not only was Laura working hard to get Laura Thomas Co. off the ground she was also involved in running a cafe in the upscale retail district of Newmarket. As well as being a full time Mum and working around her two daughters, then aged 2 and 5! Laura was very busy (as you can imagine) and one of her lovely friend’s Mum would often send out little gifts from Scotland. Within these little gifts attached to the hand written note was a tea bag. This lovely Mum asked Laura to make sure she sat down and enjoyed 5 minutes to herself with a cup of tea. Laura adhered to this and was always really grateful for putting her feet up with a good cuppa! This has always stayed with Laura as a lovely thing to do for someone else. It was giving in a way that gave a little self care. Something we often forget to do or never do at all. So with this in mind, Laura decided she wanted her lovely LT Co. customers to take 5 minutes out of life, have a little self care and enjoy a cuppa and biccy on us! Suki Tea ethically source and blend loose leaf teas, herbal infusions and fruit blends from all over the world. You can expect one of their Breakfast or Peppermint tea bags to arrive with your LT Co. order! Fellow Scottish company, Nairn’s is the largest producer of oatcakes in the UK! You can now find one of their delicious treats in with your LT Co. goodies. What’s not to like about Nairn’s biscuits and a cup of Suki Tea!